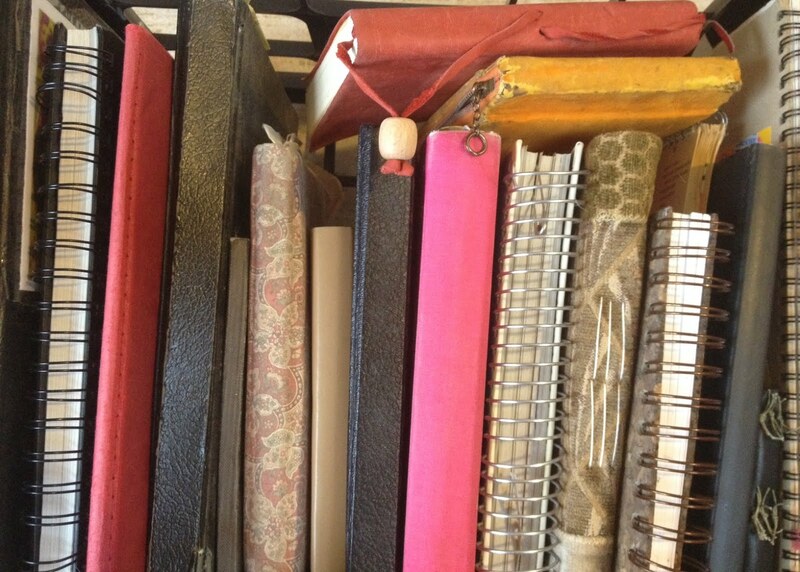 Notebooks, like people, come in all shapes and sizes. Much like people, notebooks exist all around us ambiguously, yet many people never take the time to look below the surface. Students have been directed to “get a notebook” usually from the start of 1st grade until they graduate from high school. A notebook becomes an obligatory thing. A school supply. A requirement. However, if I, as a teacher, strive to give my students more to take away from my class than a supply list and obligations, I need to give them the opportunities and the tools to see things from a new perspective. As a high school English teacher I strive for my students to see notebooks, literature, people, even themselves with a fresh perspective by looking below the surface as we journey through our year together. I will preface this discussion about notebooks and learning and people by saying I am not the same teacher now that I was when I started 15 years ago. As a new teacher I had pedagogical skills and writing skills, but I lacked philosophy. Many new teachers or even pre-service teachers are asked to outline their “philosophy of teaching.” I remember writing my “philosophy of education” paper in graduate school, but for one billion dollars I couldn’t tell you what I wrote. Today, however, I can tell you what my philosophy is. My teaching philosophy is all about relevance, empathy, purpose, and growth. I need my students to learn with intent and to learn to use reflection about their learning to better understand not only my lessons but themselves. My students' notebooks have evolved into tools; they are not just school supplies. I have always been a notebooker. I have also always been a writer. It is easy for me to understand the organic need to grasp a pen and write or doodle or brainstorm. For me, this is a natural process. Use notebooks for reflection, not for high stakes assignments. The notebook is more welcoming when the writers focus more on what they are writing instead of how many points it is worth. I have begun calling my notebooks “Meta Journals”. These tools for meta-cognition allow my students to think and reflect without the burden of strict due dates and grades. I have started to allow my students the opportunity to use the medium they see fit when responding in their notebooks, the caveat being that their notebooks must contain variety. Some students mind map, some doodle, some list, some write poetry, some launch into the great American novel. Regardless of the product, all students are going through the process of reflection, the most important part. Set expectations, but allow for some autonomy and flexibility. I have plenty of assignments queued up for each semester, the notebook doesn’t need to be in that category. We do a class inventory of the responses each quarter, and at the end of the semester, students look back on their responses as a way to reflect on their learning. I award points for participation but not for content. The notebook is a tool, and students needs to learn for themselves the power of meta-cognition and self-reflection. This year, my students’ “Meta Journals” have allowed them to own their thinking and learning. The process of notebooking after we read, after we have class discussions, even after we take a test, allows them to take that next step beyond finishing a task or producing a product and reflect on the why of the process. I have enjoyed reading their responses. Once they got over the hurdle of being so concerned with directions and grades, they let go and started using their notebooks as tools. The outcome has been great to observe. a scribbled mess of smushed words and heavy sketches. To me, my notebook allows me to portray my thoughts in my own style. Try This! 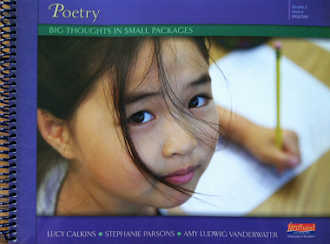 Draw even if you can’t draw, write a poem even if you’re not a poet, write from the third person point of view. Do anything in your notebook that you wouldn’t normally do. This will allow you to use a new process and push you creatively. As a writer, I have found that drawing, even though I am terrible, always ends with me writing a piece I am happy with. For students, this breaks the rigidity of the standard paragraphing that they so often have to use when responding to class assignments. Stacey Dallas Johnston is a full-time teacher, full-time mother, and part-time writer currently residing in Las Vegas, NV. Fifteen years teaching means over 2,500 students have passed through her classroom door. 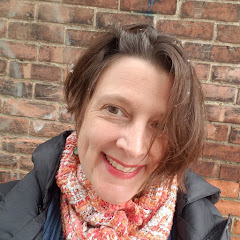 Together with her students and peers she reads, writes, and discusses literature, composition and creative writing while continuing to develop her own craft. As a fellow of the Southern Nevada Writing Project, she has worked at the state and national level to enhance the teaching of writing in public education. 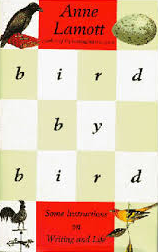 Sharing Our Notebooks will give away one copy of one of Stacey's favorite books about writing, Anne Lamott's BIRD BY BIRD: SOME INSTRUCTIONS ON WRITING AND LIFE. Please leave a comment, including a way of contacting you should you win, by Sunday, April 3, to be entered into the drawing. Please know that Sharing Our Notebooks welcomes all kinds of notebook keepers - of any age and interest - to open up their pages and share their process. At the present time, I am accepting all notebook entries and am especially hoping to receive some entries from boys and men who keep any kind of notebooks. If you are interested in writing in this space, please contact me, Amy, directly. I love this post! I'm currently using notebooks with my senior drama students, but I would love to add them to my AP Literature and English 9 students as well! Thanks for reading Jules. I have found them to be very helpful across the board. 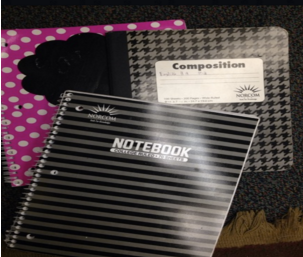 I am using notebooks in my AP, 11, and creative writing classes. "Do anything in your notebook that you wouldn't normally do." I love that! Such a simple request, but often overlooked because it's out of our norm. 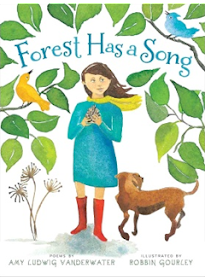 Can't wait to share with my students. Thanks for this inspiring post! I LOVE the title "meta journals"- so smart. That's just what we are doing in our notebooks- truly being metacognitive about our process as readers and writers. I have loads of notebooks that my kids love to sift through and some of my coworkers call them my "nerd notebooks" ha! I love the idea of using the notebook as a reflection tool for students. Allowing them the choice in how to document their learning is a bonus too! Thank you for the push to try something new in my own notebook. I'm going to give it a try! I believe that writing a reflective journal is something big to write. You need here so many things that should be perfect.